A group of pupils from Summer Lane Primary School experienced College life during a visit to the Sixth Form College. Ten pupils had the opportunity to sample A Level study when they participated in activities centred around graph theory in mathematics. The pupils were guided by tutor Gavin Stewart and Sixth Form College students Olivia Bletsoe, Sian Sargesson, Lewis Thornton and Patrick Tudorache. 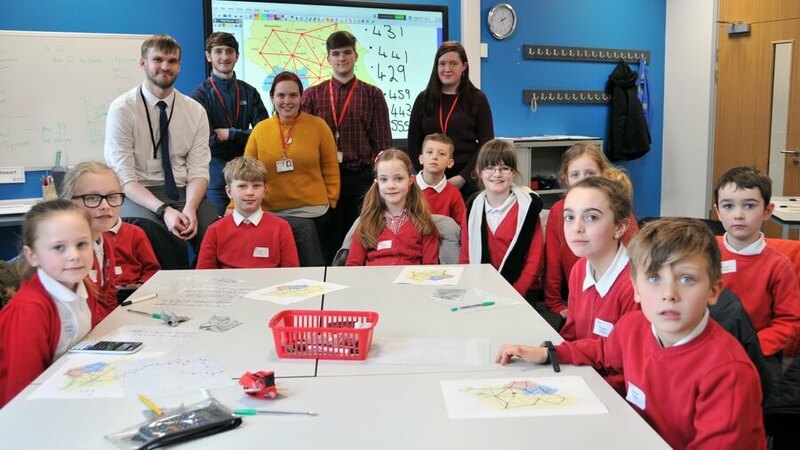 They tackled a notable maths problem called the ‘Seven Bridges of Königsberg’ and also used a map of Yorkshire to find the shortest route from one city to another. 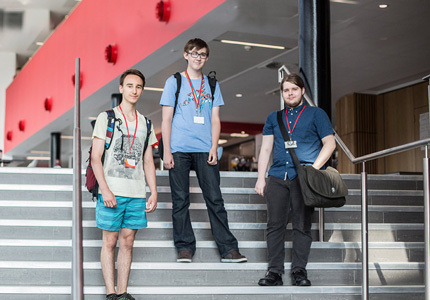 The visit allowed the pupils to see the Sixth Form College’s modern facilities and gain an insight into the learning that takes place after secondary school. 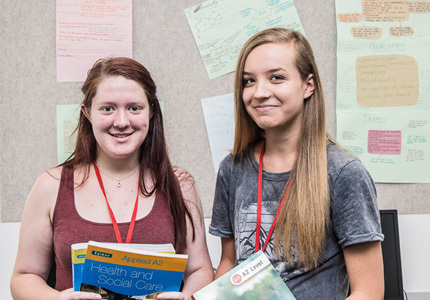 Alex McDougall, Teacher and Maths Coordinator at the school, said: “It was fantastic to utilise the wonderful facilities at Barnsley Sixth Form College, and hopefully it has inspired some of our children into taking their maths to the next level.